How Do Bitcoin Futures Affect the Price? Here is Our Expert Analysis. How do bitcoin futures affect the price of bitcoin? This is a question worth examining. When looking at recent market trends through this lens, some interesting details emerge. The current crypto bear market began shortly after CBOE and CME futures launched in December of 2017 and right around the time that Bitmex volume started ramping up. Have future markets been a catalyst for the recent crypto cataclysm? It’s hard to say for sure. But there are definitely some big things happening when it comes to how bitcoin futures affect prices. The introduction of several new physically-settled futures contracts for crypto will change the market significantly. There are signs of potential manipulation in crypto markets via futures that mimic what has been occurring in precious metals markets for some time. Institutional investors now have more ways than ever to get into bitcoin. Analysis of the BTC/USD pair in recent months shows a clear correlation between paper futures expiration and price action. First, it’s important to know what futures contracts are. A futures contract is an agreement that two parties enter into with the intention of buying and selling an asset at a predetermined price at a specific date in the future. When considering how bitcoin futures affect the price, it’s important to make the distinction between physically-backed futures contracts and paper futures contracts. When we say “physically-backed” futures, we mean contracts that are settled in the underlying asset. In other words, these types of futures contracts require ownership of a real asset. In comparison, most futures contracts are simply paper bets. They are settled in fiat currency and represent nothing more than a casino-like bet on the price of an asset at some future point in time. Both futures markets use actual cryptocurrency exchanges to derive their prices. Cboe’s contract is priced off of a single auction at 4 p.m. Eastern time (2100 GMT) on the final settlement date on the Gemini cryptocurrency exchange. CME’s contract will be priced off of the CME Bitcoin Reference Rate, an index that references pricing data from cryptocurrency exchanges, currently made up of Bitstamp, GDAX, itBit and Kraken. Let’s look at some developments involving physical bitcoin futures contracts. The news is everywhere. Institutions are gearing up to get into crypto in a big way. “Real-world bitcoin trading is all set to get a new dimension by the year end—bitcoin futures traders can look forward to placing bets in physically settled derivative products. Bakkt will create this new platform. Bakkt is cooperating with companies such as Starbucks, Microsoft, and Boston Consulting Group to bring cryptocurrencies to the world at large. Why is Bakkt such a big deal? Is it because Starbucks will begin accepting crypto as payment as soon as next year? Is it because Microsoft intends to use its cloud computing services to establish a global regulated market for cryptocurrencies? Well, yes. But even more than all of the above, Bakkt future contracts will be physically-settled in bitcoin. This will be the first BTC futures that require settlement in actual coin. Of course, there is nothing “physical” to be exchanged in this case. The term refers to the fact that when the contract expires, payment must be made in the actual underlying asset. This creates real demand for actual bitcoin. In contrast, the existing futures markets (CBOE and CME, plus Bitmex) are all paper contracts. There is no exchange of anything other than make-believe bets on what the future price of an asset will be. In this sense, these contracts are more like “vapor contracts”, as they are ephemeral in nature. When physical futures contracts come into play, everything changes. Whereas vapor contracts consume capital that would otherwise flow into real markets, physical contracts create real demand by requiring possession of the asset in question. Therefore, it’s safe to assume that physical bitcoin futures will affect the price in a more positive way. In addition, futures contracts can be used more easily to manipulate prices. Do Bitcoin Futures Affect Prices in a Manner Similar to that of Gold? While there isn’t much precedent for what’s happening in crypto markets because the asset class is still new, there is a precedent for futures being used to distort price discovery and manipulate prices in another market: precious metals. Precious metals markets have long since been subject to manipulation by large banks. Several banks have admitted wrongdoing and faced fines for manipulating gold prices. Many believe that the prices of gold and silver have been kept artificially low through the use of leveraged paper contracts. Dr. Paul Craig Roberts, the former economic advisor for the Reagan administration, has written extensively about this subject. In his view, some of the biggest banks in the world have been working to suppress the price of gold in Western markets for many years. They accomplish this through creating so-called “naked shorts” out of thin air (the term vapor contract term we’ve been using is analogous to a naked short). A naked short is simply a contract that allows an institution to place a sell order for a particular asset without having any ownership of the asset. In other words, it allows a bank to flood the market with fake sell orders, creating downward market pressure. Given that banks can create these shorts to the moon without any accountability, they can keep the price down at a level more or less of their choosing for quite some time. The price of gold is determined by paper exchanges that are not directly tied to the actual supply/demand dynamics of physical gold. This would explain the nonsensical more-or-less sideways movement in precious metals markets. Even as a global selloff erases trillions in paper wealth, gold and silver prices have barely budged in USD terms (although gold is now nearing a 5-month high, it is still down 7% year-to-date). Those that benefit from the current fractional reserve fiat monetary system do not want to see competing currencies thrive or attract investor attention. This has applied to gold historically, but it is logical to assume that their hostile views extend to the new form of money, cryptocurrency. Amidst all that’s happening in the crypto and precious metals markets, the global market crash of 2018 remains in full swing. On Tuesday, U.S. stock markets tanked. All the major indexes were down over 3% at the close, with the Russell 2K being down over 4%. 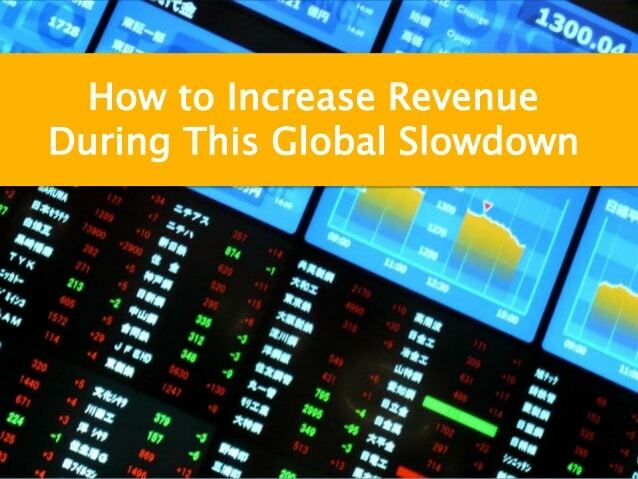 European markets closed at a 2-year low, and Asian markets also saw steep sell-offs. The VIX shot up over 26% in a single day. During this week so far, gold rallied by less than 2%, a mild move in the context of global market turmoil. If the price of gold were to shoot up 10% or 20% in a short period of time, it would indicate very big problems. Are bullion banks selling into rallies in an attempt to prevent all-out global panic? Is something similar happening with regard to crypto prices? Bitmex allows leveraged trading up to 100x. That means that traders can trade with 100 dollars for every 1 dollar of real capital they have. This model creates an easier opportunity to manipulate prices. If there were ever a platform to use futures to affect the price of bitcoin, Bitmex would be it. While there is only limited evidence to indicate that BTC is being manipulated in a manner similar to gold, the CME and CBOE futures markets do, at the very least, cannibalize demand for actual coin. With vapor futures contracts, capital winds up washing around in an ephemeral sea of greed whereby traders seek to profit from making bets against each other’s estimates of what tomorrow’s price will be. Professional traders use sophisticated bots, algos, quant trading, spoofing and other tactics to scalp profits from unsuspecting retail investors. A portion of that capital might otherwise be flooding crypto exchanges with buy orders that push prices higher. Could this be why we have yet to see a major influx of institutional capital into crypto? Are the soon-to-be whales who want to establish themselves as key players in this market by owning real digital assets waiting for the opportune time to acquire coin? What does available market data reveal? Let’s examine the potential impact of CBOE and CME vapor futures contracts on the price of BTC using market data from Coinmarketcap.com. Simply put, there does appear to be an impact on the BTC/USD pair from the expiration and settlement of these contracts. 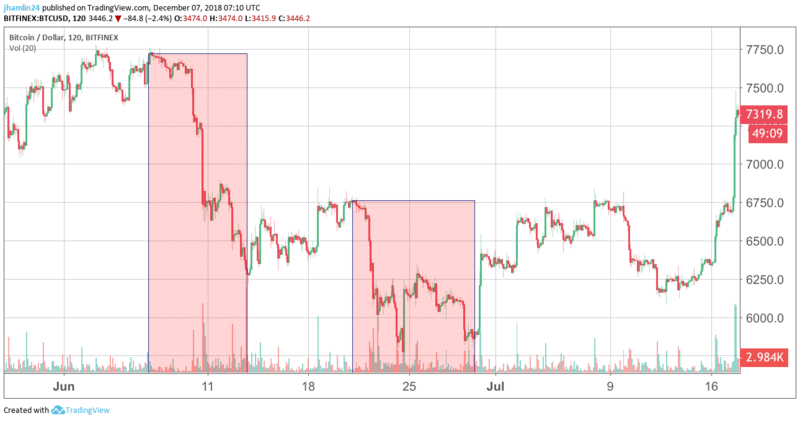 This pattern becomes clear when looking at price action on the last Friday of each month (when CME futures expire) in comparison to the first few trading days of the following week. CBOE futures expire two business days prior to the Friday of the week denoted by the ticker symbol (the Wednesday prior). January 16th of 2018 was the CBOE bitcoin futures expiration date. On this date, the price had its single largest decline of the month, accompanied with the largest daily volume. During March of 2018, we see major declines leading up to the CBOE bitcoin futures contract expiry on March 14th and again leading up to the CME bitcoin futures contract expiry on March 30th. Short-term rallies followed each expiry date. 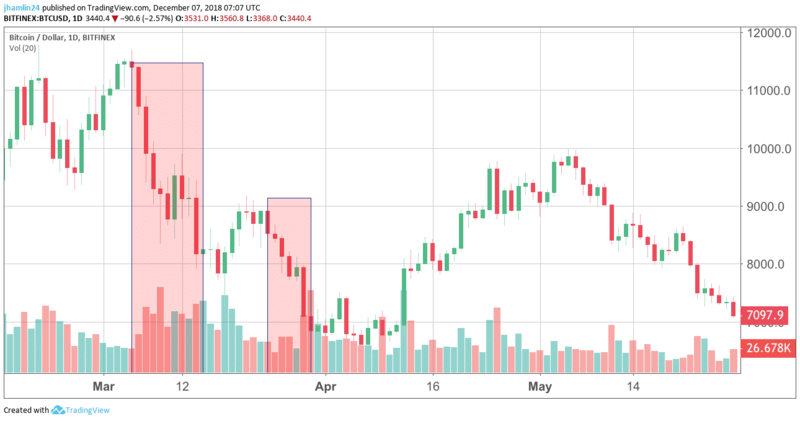 During the month of June, we see a sharp decline of around $1,500 in the days leading up to the CBOE bitcoin futures expiration on June 13th, followed by a price rally right after the contract expired. 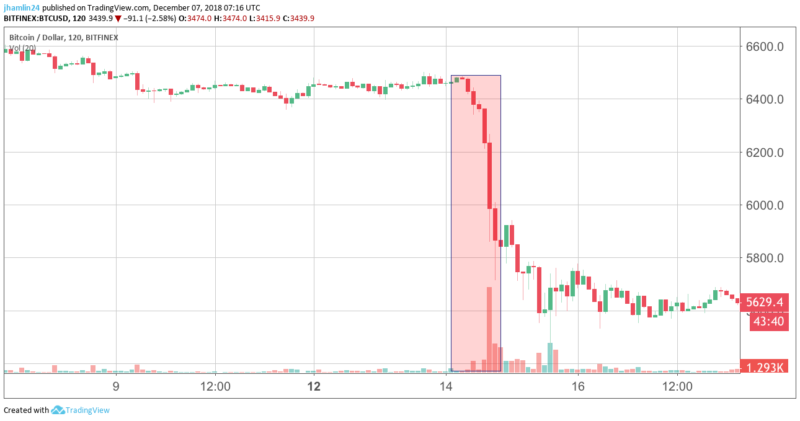 Then again we see another major decline of around $1,000 leading up to the June 30th CME/Bitmex bitcoin futures expiration date. And again we see a strong rally immediately following expiration of the contract. 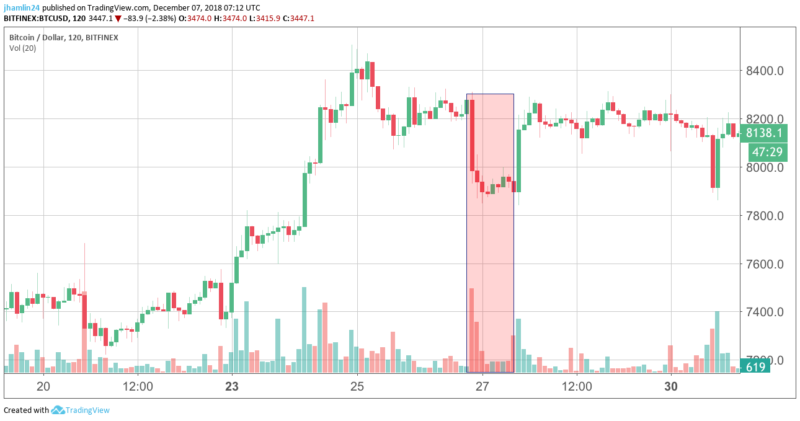 During July, there was nothing noticeable around the CBOE expiration date, but the sharpest decline of the month just happened to occur the night before the CME/Bitmex bitcoin futures expiration on the 27th. Notice again, the price rallies strongly immediately following the expiration date. Now take a look at the November price action for bitcoin. 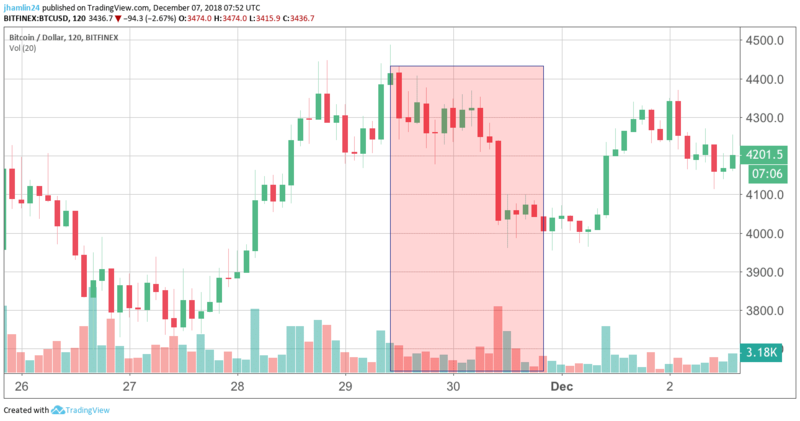 After consolidating within a defined range for quite some time, the bitcoin price suddenly falls off a cliff on November 14th. This happens to be the CBOE bitcoin futures expiry date. This was a drop off nearly $700 in under 24 hours on the highest volume of the month. Then again on November 30th, the last Friday of the month, notice that the price for bitcoin drops nearly $400 or 10% in the 24 hours leading up to futures expiration on both CME and Bitmex. 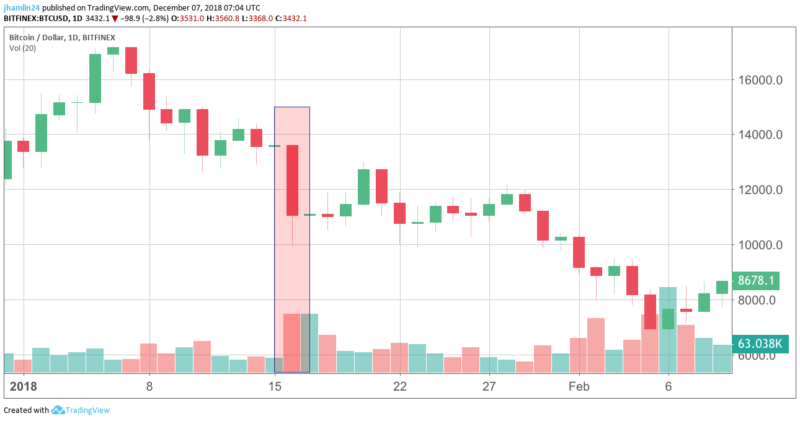 And yet again, it posts a strong rally after expiration, with the price bouncing off $4,000 and climbing back to around $4,350. It is goo to remember that correlation does not imply causation and maybe this is just coincidence. Skeptics will argue that there are people on both sides of each trade and that shorting is important for price discovery and liquidity. But this is naked shorting and anyone that watches the order books will see very unusual action that is designed to manipulate prices. It is not natural market making. Large orders are placed and then removed before they can be executed. Bots immediately place bids just above or below new orders. Artificial sell walls are created to instill fear and induce panic selling. Bitcoin futures can affect the price by creating negative sentiment and triggering stop-loss orders at key technical price levels. The effect may seem small, but a reliable pattern does emerge. In summary, professional traders use leveraged futures contracts to manipulate prices and scalp profits from unsuspecting retail investors. The cumulative impact is a suppression of prices over time. While these leeches make money, they add little value to society and are not advancing the ecosystem. They have no true appreciation of the power of blockchain technology or potential of cryptocurrency to significantly improve the well-being of humanity. It is all dollar signs and hollow victories. My two cents: don’t play their game. Avoid futures contracts and buy actual bitcoin on exchanges. Then transfer your crypto to a hardware wallet where you control the private keys. Buying futures instead of actual bitcoin bypasses the key benefits and innovations that Satoshi gifted to the world. You re-introduce third-party risk, centralization and inflation all at once. Now we have an idea of how vapor bitcoin futures affect the price, what about physical futures? How Do Bitcoin Futures Affect the Price if They are Physical and not Vapor Contracts? With the advent of physically-settled future contracts, a similar pattern may emerge. Only this time, bitcoin futures will affect the price to the upside, as purchases of real bitcoin from exchanges become necessary to settle the contracts. Assuming the majority of those who own the contracts choose to hold most of their gains in crypto, these gains will be cumulative. The result will be steady growth in BTC/USD market cap. Where will this capital come from? Bitcoin needs new capital to continue growing. Those who raise this point tend to imply that it’s not possible for such large amounts of capital to enter the markets. And until recently, this may have been true. All of these services allow institutions to acquire actual bitcoin. This should be supportive of prices, to say the least. Poloniex will require a minimum deposit of $250,000 USD. It’s safe to say that most institutions will be investing a lot more than that. In addition, there are several new futures offerings coming up. As mentioned, Baakt will offer physical futures contracts, planned for launch in January of 2019. VanEck is also awaiting a decision by the SEC for a new physical future contract platform. NASDAQ is planning a futures launch for the first half of 2019, although it’s unclear if they will offer physical settlement. Each of these developments on their own is larger than life. Two years ago, if you told any crypto enthusiast that things like this would be happening, they would have laughed in your face. And the news would have sent the price soaring. That’s how far crypto has come in such a short period. Any market fundamentals we have become accustomed to will soon be blown out of the water as volume and market cap explode (no more moon metaphors, please). One way or another, true price discovery is being distorted, in whole or in part, by the use of vapor futures contracts. A clear correlation can be seen in the expiration time of futures contracts and the BTC/USD trading pair. The price tends to crash hard leading into the expiry dates for futures contracts, allowing the shorts to profit. The price then rallies immediately following expiration, as free market forces once again take hold. This evidence is compelling although not conclusive. The lack of institutional investment that should be happening right now is most likely a result of these factors. Once physical futures contracts are available and possibly a bitcoin ETF to follow, all of that could change in a big way. Q1 2019 could signal a massive opportunity and the beginning of the next crypto bull market. Subscribe to the GSB newsletter for more in-depth analysis of the cryptocurrency and precious metals markets. Article written by Brian Nibley, with edits and additions by Jason Hamlin.